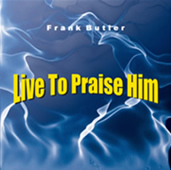 The following resources are available from Frank Butler Ministries. Make a donation of $12.00 or more (includes s&h in USA). Make a donation of $12 or more (includes s&h in USA). What is the source of sickness? Can God’s ways of healing compare with man’s? How can I heal the sick? What can I do to receive healing? Do I need faith to be healed? What are God’s methods of healing? Are God’s ways of healing superior to man’s? What is God’s prescription for healing? Is God glorified by healing and health or sickness and suffering? Select the items you want, go to the Make a Donation page and send a donation via Zelle or PayPal. Email your shipping address to our office at fbmin@comcast.net and we will ship the items to you. PayPal is a secure website that encrypts your information so that it cannot be read while being transferred over the Internet. Frank Butler Ministries is a registered 501(c)(3) non-profit organization and all financial gifts are tax deductible.